The Riviera Hotel was opened in 1958 March the first, and the owners are – since that date – Ziliani family. The family management guarantees a relaxing and friendly atmosphere. 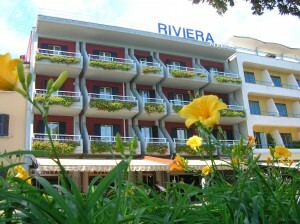 Constantly renewed Riviera Hotel has always been one of the most well-known hotel in Desenzano. Our 41 rooms, 15 with lake view balcony, have private bathroom, Sat TV, phone, air conditioned and safe. 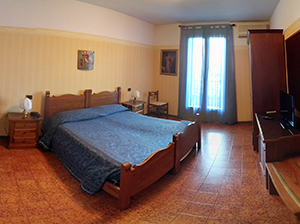 The facilities and the common spaces of the hotel are the restaurant, the bar, meeting room with air conditioned, TV living room, lift and a vide solarium terrace with lake view. Fine and high quality food. 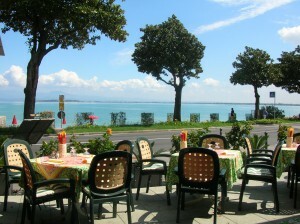 Open air restaurant and lake view. Olive oil, wine, fish, salami and cheese are produced on the Garda Lake. You will enjoy the traditional mediterranean recipes.